Salata Salad Kitchen naed Michelle Bythewood to president of the company. Previously, Bythewood was Salata’s chief marketing officer – the company’s first. She officially joined the company in August 2017 after serving as a brand consultant for Salata for a year. As CMO, Bythewood led brand management and strategy, national and field marketing, media, digital strategy, marketing technology, and product innovation. In her new role as president, Bythewood will be responsible for management of operations, logistics, and creating, communicating and implementing the organization’s vision, mission, and overall direction across all departments. With Salata’s strategic growth initiative focused on franchise sales and restaurant openings, Bythewood will work closely with Salata’s franchise sales team to determine opportunities for expansion into new and existing markets. Prior to joining Salata, Bythewood served as vice president of brand marketing for Cicis, senior director of field marketing for Raising Cane’s Chicken Fingers and brand vice president of marketing for Schlotzky’s/Cinnabon Express (FOCUS Brands). Additionally, Bythewood is the founder and principal of Field Marketing Focus, a marketing consulting firm that leads overall strategy development while helping build partnership within communities. Taco Bueno Restaurants LP completed its sale to Taco Supremo, LLC, an affiliate of Sun Holdings, Inc. and emerged from its court-supervised financial restructuring. ​Just Salad​ appointed Janani L​ee as its first-ever Chief Sustainability Officer to lead the company in expanding its sustainability practices. Just Salad's signature reusable bowl is estimated to save 75,000 pounds of plastic and increasing waste diversion by five percent every year. The program was recognized by the EPA with a ​WasteWise award​, and it is the only restaurant reusable program approved by the New York City Department of Health. Pincho Factory dropped the “Factory” and will now be known simply as PINCHO. The name change caps off a year of changes for the brand including a round of investment, a new CEO, an updated menu as well as the launch of online ordering and third party delivery. This latest change signifies a larger mission for the company to be “bigger than food” with new branding and a new store design. Becoming PINCHO is a natural evolution for the brand as it has always been more than just food to its loyal guests. The rebrand, which has been in the works for the past 14 months, will create an elevated hospitality experience at the leading edge of the fast casual space. PINCHO worked with NATIVO, a Miami-based branding and design studio, on the official rebrand, company officials said. The new restaurant design flaunts a sleek yet still edgy interior, offering a modern, inviting tone, with accent colors tastefully exposing the brand’s slogan and mantra “Flavor. Culture. Passion.” On the exterior, guests will be greeted with a distinctive and bold design, while interior walls will display one-of-a-kind artwork from some of Miami’s most acclaimed street artists, evoking the classic feel of a Latin street food joint. With culture and street style being a major part of the PINCHO brand, the company is rolling out original, apparel with the feel of a modern lifestyle brand rather than what people have come to expect from restaurant brands. 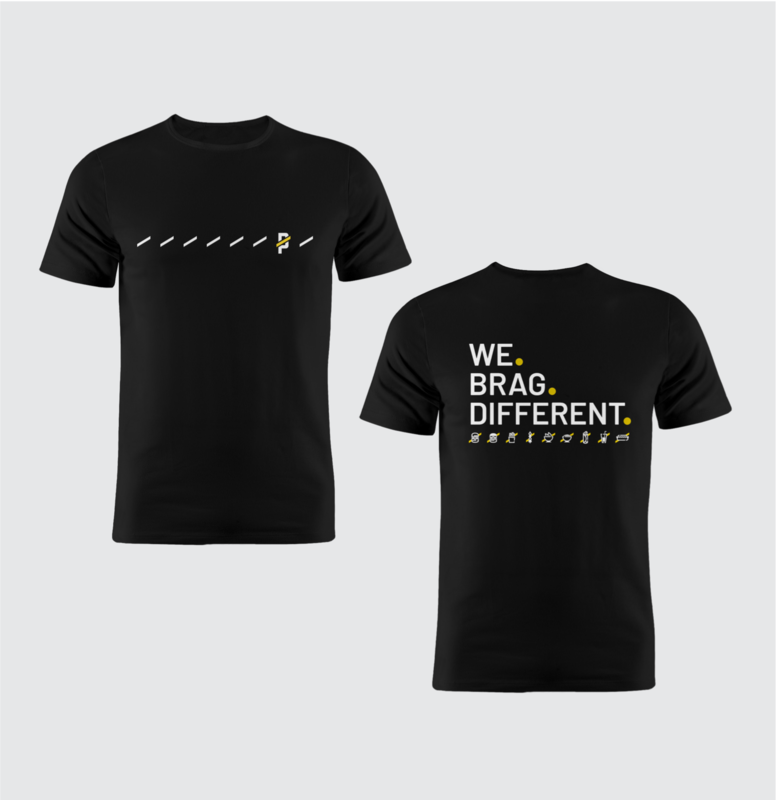 The look and feel will resonate throughout the restaurant and will be featured on new brand uniforms including hats, shirts, aprons and other PINCHO merchandise. PINCHO currently has seven company owned and four franchised and licensed locations throughout South Florida, with plans to expand to 100 locations nationwide over the next five years. The company opened its first location in Miami in 2010. Pizza Hut is adding more restaurants to its category-first beer delivery program. The company announced the second expansion of the program to nearly 300 restaurants across Florida, Iowa, Nebraska, North Carolina, Ohio, and additional locations across California and Arizona by mid-January. 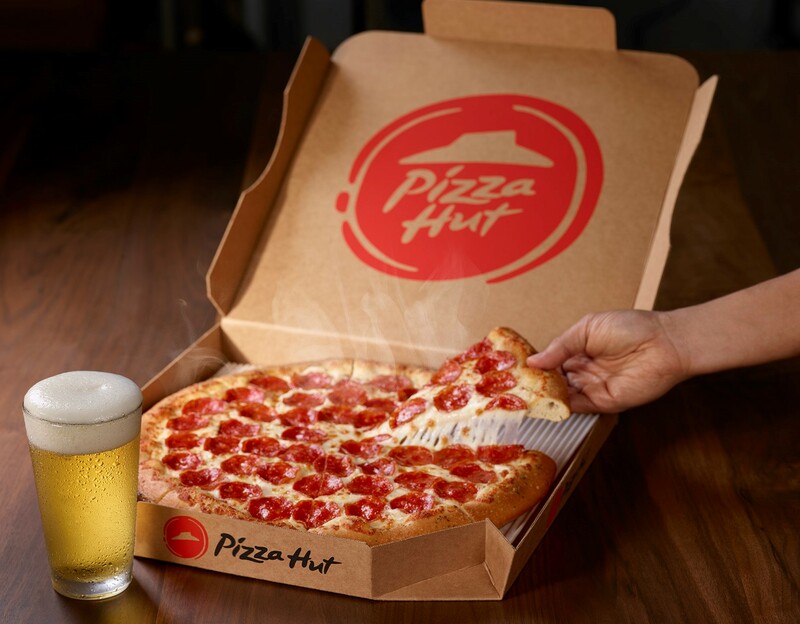 The rollout is a brand priority, with Pizza Hut aiming to grow beer delivery capabilities to 1,000 restaurants across new markets by Summer 2019. The announcement is aptly timed ahead of Super Bowl LIII, one of the busiest days of the year for Pizza Hut. According to a recent survey, 86 percent of Americans plan to serve both pizza and beer at their upcoming Super Bowl party this year.1 With this recent expansion, Pizza Hut is serving more customers than ever as a one-stop-shop for both. In December 2017, Pizza Hut launched its beer delivery pilot program in Arizona and expanded to parts of California five months later. Now, in 2019, with strong franchise partner participation, the company is in seven different states with additional markets forthcoming. As fried chicken concepts grow in popularity, Bruxie has separated itself from others as a chef-driven concept and has gained the momentum to take advantage of unique opportunities to grow both domestically and internationally. Its most recent international franchisees include The Bistro Group in the Philippines and Salt ‘N’ Blues, PVT. LTD. in Northern India, making the brand poised for worldwide expansion. The Original Fried Chicken & Waffle Sandwich capitalizes on being bold, fun and unconventional as it increases its U.S. footprint with new Domestic Franchising opportunities as it expands internationally. Stoner’s Pizza Joint said Bruce Levy of Chatham Foods & Dining LLC, has assumed ownership of its existing Jacksonville, Florida location, located at 11565 N. Main St. Additionally, Levy signed a franchise development agreement to open two new restaurants in the state, targeting the greater Jacksonville area, as well as St. Augustine. This new agreement comes on the heels of the six-unit deal signed in Texas in Q4 2018 and further supports the brand’s plans to grow to 100 locations over the next five years. Levy has extensive experience in restaurant operations and franchising, as well as commercial real estate and development. He has previously worked with Sonny’s BBQ, Sonic Drive-In and Blaze Pizza, in addition to owning his own concepts in South Florida and Puerto Rico. Day-to-day operations of his new Stoner’s Pizza Joint restaurants will be led by Dawson and Charlotte Robertson, who have been in the restaurant and hospitality industry for more than a decade. Founded in 2013, Stoner’s Pizza Joint was recently purchased by the experienced restaurateurs behind HHI Hospitality, which owns and operates several proprietary restaurant concepts in Hilton Head, South Carolina, including Charbar Company and ¡Holy Tequila!, among others. Partners Drew Ciccarelli and Nick Bergelt developed and launched Stoner’s Pizza Joint’s franchising program in July 2018 with the goal of growing the brand’s footprint to 100 locations by 2023. Currently, Stoner’s Pizza Joint has six corporate locations throughout Georgia and South Carolina with three more in development. “An industry veteran like Bruce investing in our brand is a testament to Stoner’s simplistic business model, high ROI and operational excellence. As we remain on pace to open 100 stores over the next five years, we’re grateful to have such an experienced operator be part of our early growth story,” added Nick Bergelt, chief concept officer of Stoner’s Pizza Joint. Black Bear Diner opened two more units in its home state of California, this time in Turlock and Rancho Cucamonga. Franchisee CRC Inc. operates Turlock’s location, while franchisee Elite Diners, LLC runs the Rancho Cucamonga restaurant. With a total of 122 diners, the Company is dedicated to expanding eastward, while keeping a strong presence in its home state. Rancho Cucamonga: Located at 10910 E. Foothill Blvd, this 5,582 square-foot diner seats a total of 148 guests. The company looks forward to bringing its delicious home-style meals to the Rancho Cucamonga community Sunday-Thursday from 6:00am-10:00pm and Friday-Saturday from 6:00am-11:00pm. Turlock: Located at 3050 N. Tegner Road in Turlock, this 7,000 square-foot diner seats up to 244 guests. The diner will provide both hearty and healthful selections to customers every day from 6:00am-10:00pm. 16 Handles just unveiled their first co-branded space in collaboration with Subway in Glenmont, NY. The Glenmont location, located at Town Squire Plaza just outside of Albany, will serve the 16 Handles soft serve flavors guests know and love, as well as a selection of Subway classics, including sandwiches, chips, and cookies. The location is outfitted with Subway’s rebranded interior design, including the new Subway S Choice Mark logo, as well as wall coverings made with 34 percent recycled content and water-based inks. Del Taco Restaurants, Inc. expanded delivery with Grubhub (NYSE: GRUB), the nation's leading online and mobile food-ordering and delivery marketplace, to all participating restaurants in the Los Angeles area, with plans to launch delivery system-wide to participating locations in the first quarter of 2019. Captain D’s opened its newest franchised location in Orlando, Florida. Located at 5850 S. Orange Blossom Trail, the new restaurant marks Captain D’s 28th location in the state and comes on the heels of the success the brand experienced in 2018, with more than a dozen new restaurants opened and 10 development agreements signed. The Orlando Captain D’s is owned and operated by first-time Captain D’s franchisee, Amin Gulamali. Successfully operating various Choice Hotels and convenience stores throughout the greater Orlando area, Amin is utilizing his extensive management experience to transition into the restaurant industry and plans to open two additional Captain D’s locations in the Orlando metro area over the next few years. Throughout the past year, the company has opened more than a dozen new locations and inked numerous franchise development agreements to open new restaurants in states like Mississippi, Louisiana, Georgia, North Carolina, Illinois, Michigan and Oklahoma. MOD Super Fast Pizza Holdings, LLC named Mark Shambura as its chief marketing officer (“CMO”). Shambura will lead the company’s overall brand and marketing strategy for its 400+ system-wide* locations across the US and UK, with a focus on building awareness of the MOD brand while deepening MOD’s relationship with its customers. Mobivity Holdings Corp. announced an international license expansion with Subway, bringing Mobivity’s targeted print advertising, data aggregation, and insight engine to restaurants in Canada, Ireland, and the United Kingdom. The expansion follows the success of the program domestically, which has returned in excess of a 10x return on investment for the brand. With this new expansion, Subway’s intelligent and personalized marketing campaigns gain a global footprint, deploying in roughly 3,000 Canadian restaurants and 2,500 restaurants throughout the United Kingdom and Ireland. These restaurants will utilize Mobivity’s Receipttechnology to provide targeted messaging campaigns directly on guests’ printed receipts, while gathering basket-level point-of-sale data to reveal unique trends and insights through Mobivity’s Recognition reporting platform. In addition to consumer interest, technology is transforming third-party delivery into standard fare. Jersey Mike’s Subs, partnered with Uber Eats on a smooth integration with the sub company’s proprietary POS. This integration has already led to improved standardization, operational efficiency and cost savings. Years ago, Jersey Mike’s built its own proprietary POS and tech stack, an uncommon practice in the restaurant industry, yet one that ensured a quick and easy integration with Uber Eats. Jersey Mike’s went live in late October and, in just two months, more than 1,225 restaurants have been integrated, with more to come. On average, each Uber Eats delivery is completed in less than 30 minutes. In addition to the ability to quickly and seamlessly scale up, the POS integration ensures accurate sales and inventory reporting. It also improves consistency. The integration now allows for a standard menu across the brand. For instance, if Jersey Mike’s introduces a limited-time-only offer, this can be added to the POS and it will automatically show up on Uber Eats’ menus nationwide.